Good afternoon! Thank you so much for your comments on my simple little house. It's wonderful to hear from others who enjoy making their homes peaceful and comforting places to be! Isn't this glass acorn beautiful? My mom surprised me with it last week. 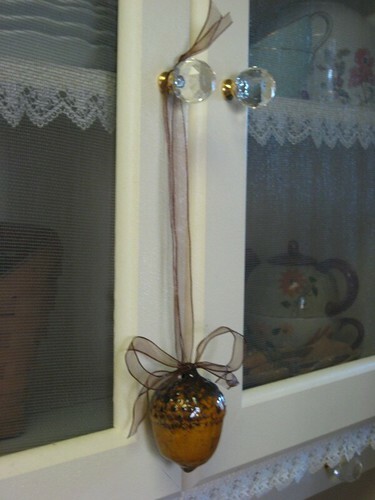 I added a ribbon bow and hung it from a knob on my kitchen hutch. Just a little something that makes me smile. :0) I hope your week is going well! I wanted to post yesterday on your Simple Home. Everything was so pretty! I hope you are enjoying your favorite season! Good job Mom!...How adorable and you found the most perfect place for it to! I love it kelli,it suites your style! have a blessed day. What a cute acorn! And a beautiful touch to add the ribbon!! Sweet! What a thoughtful mother. Makes me smile too, thanks for showing it! I love it Kelli. Every time I see an acorn I think of you....even when they were talking about the "ACORN" company that signed up people to vote....I thought they ruined a good thing with all their mess. lol....you get my drift...I think of you is the key here! How wonderful to have a mother, to recieve such lovely gifts. I love where you put it. It looks great there. Kelli, you get such good ideas. I think the glass acorn looks great hanging from your kitchen hutch. I like the way you are an old fashioned gal.Your mom knew you would do something special with it and that's why she gave it to you. How sweet. 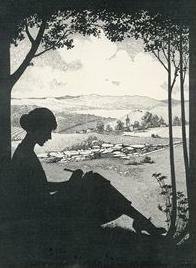 Take care and have a nice evening. 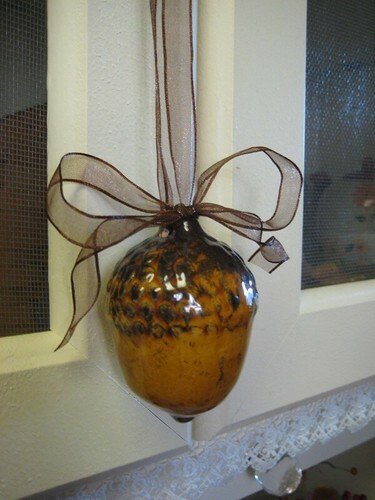 Your acorn ornament is perfect with the ribbon and hanging on the cabinet door. You have a talent for knowing where to put something in just the right place. Simply beautiful! How pretty - yet another wonderful addition to a simply beautiful home! Love it Kelli! I see your cake plate is empty now...those muffins looked so yummy the other day, so now I can why they are gone. Hi Kelli! Our package of fall supplies arrived in todays mail! SO cute, thank you! I will post a proper thank you on my blog on Thursday. I have been looking for a hutch or buffet/hutch for quite some time. The type my husband would spend the money on is not in our budget now, and the type we HAVE the money are too poorly made. I have been praying and watching CRAIGSLIST!! I know I had the inspiration to get one from looking at your blog. Thanks for all the inspiration! I just love it! I have developed such a hankering for acorns as of late! Thank you for sharing! That is so sweet! It looks great on that ribbon. Oh love your little acorn. I've always had a soft spot in my heart for acorns. some people like strawberries or roosters...I like acorns. And I like chestnuts too. but acorns the best. Yours is beautiful. It looks so cheery hanging there. That is so cute. You found a perfect spot for it. And it looks great there! Your mom did well! Sometimes it's the little things like this that can make you smile! Hi, Kelly! Isn't fun to get little surprises from someone when we least expect it? :-) Does your mom live close by or is she in Canada? The acorn ornament is beautiful! I love the simplicity of the way you hung it with the ribbon. Your gift is so pretty and more special because it is from your mom. Just lovely! 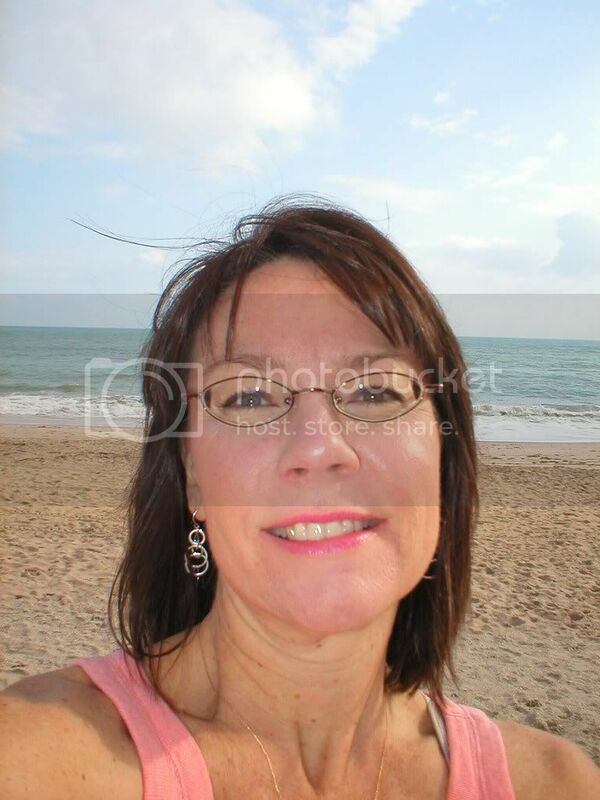 Beautiful pictures as always, Kelli! I love your white hutch with the lovely lace peeking out. That is so pretty and the ribbon matches perfectly! This is Amazing:) You really inspire me Kelli. There is somthing to you on my blog:) Thank you so much or the inspiration. The glass acorn was a really beautiful gift from your Mom. She obviously knows the sorts of things you like. My Mom is good at buying for me too. We have similar tastes. We can go in the same shop separately and like the same things. The acorn was perfect for you Kelli. I just think its adorable. I love things like that. What a wonderful way to use it! That way you can see it all the time. 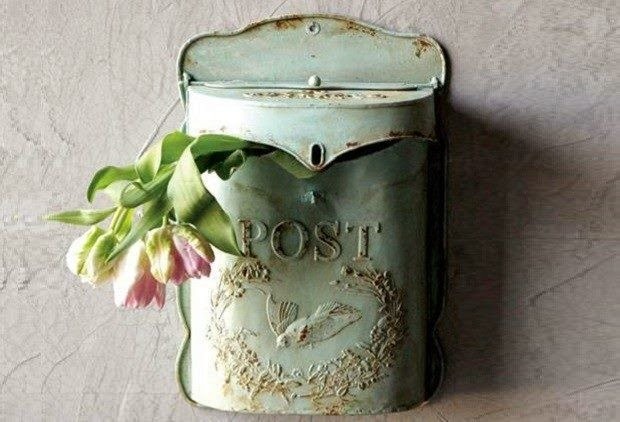 Very pretty - I love little touches like this! How pretty! And so sweet of your Mom to think of you! Isn’t it great how such a simple thing can bring such joy? That is just beautiful. And, I love your hutch. It always looks so pretty. Just the right touch for your hutch. 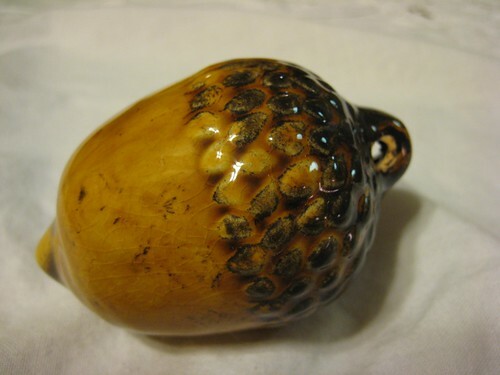 What a darling little acorn ornament! And I love where you chose to display it. It's perfect there. i love that hutch!! and the acorn does a great job of accenting it. i'm from texas too- near texarkana- are you close by? What a darling acorn! It is the perfect touch! I have to tell you, Kelli - the other day I was in Williams Sonoma, and saw the most adorable acorn muffin pan. And it made me think of you! By the way, I love all the fall decorating you've been doing. Oh it is so pretty! I love it! What a cute little acorn! Isn't is the "little things" that mean the most? And thanks so much for visiting! I am always excited to see you have stopped by! What a sweet acorn!! It looks precious hanging on that pretty ribbon!! What a wonderful present! It is perfect for you, and I think it looks so pretty hanging there, like that. Your home is perfectly charming Kelli....just like you! I'm keeping an eye out for a squirrel cookie cutter when I'm out and about, but so far I've not seen one. Maybe online? I love your hutch. Is that two separate pieces? It is so pretty. Adds a nice touch to the hutch.. I just found your site this morning, I love it. The acorn is so pretty and I love your white hutch. 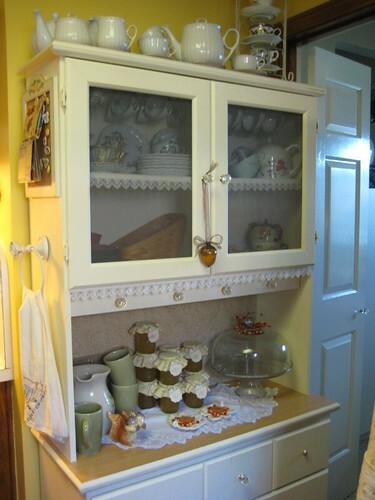 I have an old white hutch, I have mine filled with vintage colorful dishes with cookie jars on the top. Hi Kelli - I was laid up with a migraine for days so couldnt post here, but that acorn is lovely - your lucky to have a mum who gives you super gifts like these! she must have known you'd love it!! It looks wonderful there! Perfect spot!